Just a quick note to let you know how pleased we were with the way you handled the marketing and sale of our home. From the beginning Lindsay Hill Real Estate was punctual, professional, friendly and full of enthusiasm for the job. This showed up in the way Lindsay Hill Real Estate went about marketing our home, keeping us fully informed at all times right through to getting a fantastic price! We couldn't have been more pleased. I wanted to take the time to let your team know how happy we are in our new home. 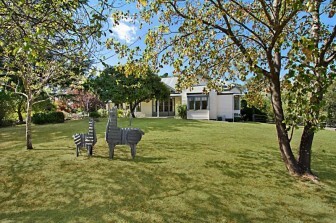 Lindsay Hill Real Estate has made moving to Mount Macedon so simple. Lindsay Hill Real Estate found us a house in short period of time to all our family members' needs. The Premium Tracker tool on their website was brilliant as we knew right away when a property matched our needs. Thanks for all your help. We would recommend Lindsay Hill Real Estate to anyone without a doubt. Thanks again for showing how efficiently a real estate agent can operate! The latest evidence... the sold sign was gone when you said it would be! Everything you have done is as it should be done. Such a contrast to the local agents it's amazing!! So thank you for restoring my faith in the RE industry and I hope you get lots more premier business over this side of the world. We'll certainly continue to sing your praises. Meanwhile have a great weekend!